"I'm fired up! Let's go, go, go!" Every gang of heroes needs a goofball to make them all laugh. In the case of the Paw Patrol, they're lucky they've got Marshall, who happens to be a silly dalmatian, and a brave pup-of-action! 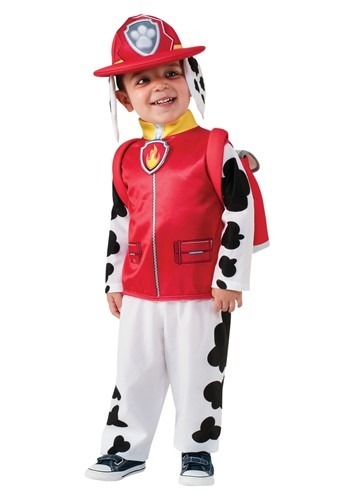 Now your little Paw Patrol fan can suit up in this licensed Paw Patrol Marshall Child Costume, and jump into action just like his favorite furry firefighter from the popular Nickelodeon series! Marshall was a dalmatian long before he got to become a firefighter, but you could say he was destined to be one all along. Whenever an alarm goes off, he's usually the first one out the door, driving his fire engine and blaring the siren, ready to save the day! Sometimes he gets so excited, though, that he stumbles over his own paws, or trips when running up a ladder. He's a little clumsy, but he's so lovable and energetic that he can still get the job done, even if he bonks his noggin along the way. Your little rescuer is going to be as excited as Marshall when they get to dress up in this paw-some costume! 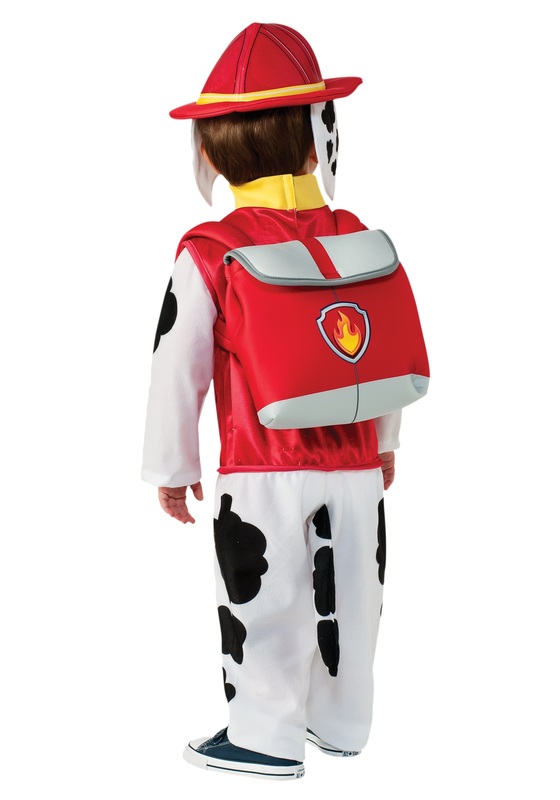 The one piece jumpsuit is designed to look just like the brave pup's firefighting uniform, and features dalmatian spots on the sleeves and legs. It also comes with a cool helmet with floppy ears attached to the sides, and a real "pup pack" for stashing treats and firefighting gear. Adventure Bay will be in good hands when this cute fire-pup blazes into action!